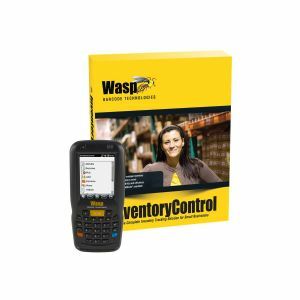 Get in control of your stock with Wasp Inventory Control - the complete stock management solution for small business. Wasp Inventory Control offers small businesses the ability to accurately track stock, without the complexity or expense of an enterprise solution. It's easy, efficient and affordable. With Wasp Inventory Control, it's simple to track and manage stock at multiple locations and sites. Easily create stock items, or import existing supplier and stock data using the import wizard. Create barcoded labels and tags for fast, efficient tracking. Check stock in and out to customers and employees. Quickly perform audits and cycle counts to ensure data accuracy. Inventory Control gives you powerful perspective on your business. Access over 60 business management reports, including total cost of stock, stock aging, transaction history, and more. Track stock turns to optimize purchasing and stock levels. Wasp Inventory Control delivers the tools you need to ensure that your business is running smoothly, in an intuitive, easy-to-use interface.